With the vines dormant after a successful 2018 harvest from the container vineyard, it was time to prune the vines. 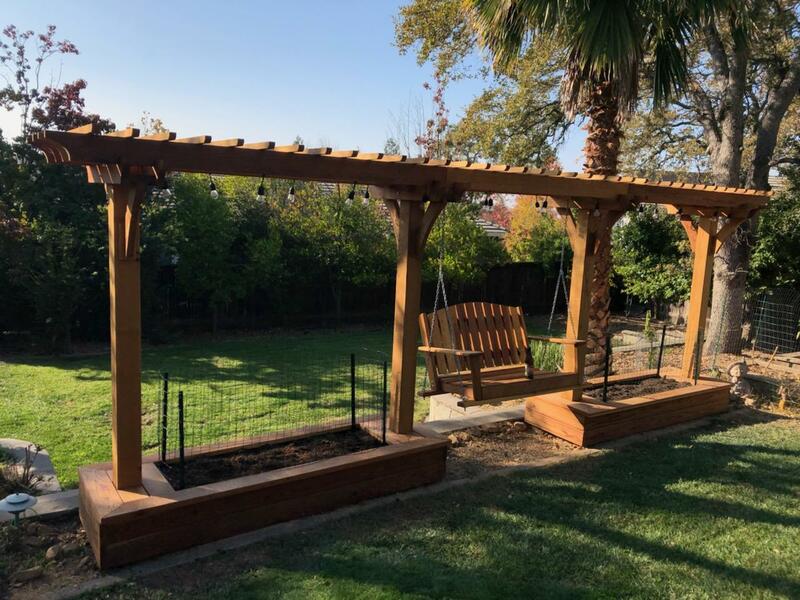 This year the vines weren't all up all over the place as they've previously been so this actually did not take much time at all. When pruning, remember only to cut growth that is 1 year old, but make sure to leave a few nodes that are 1 year old on the vine as that is where bud break will occur when the plant emerges from dormancy. 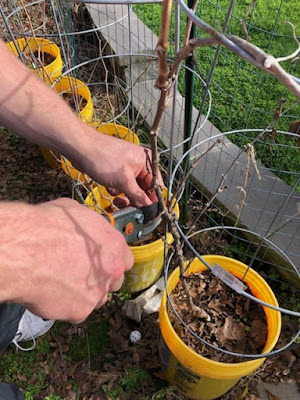 To support my buddy's arbor, we took some cuttings from some of the more popular vines so that he could grow his own vines up and around the structure. Candidates for his structure were all red wines; Zinfandel, Cabernet Sauvignon, Pinot Noir, and Aglianico. 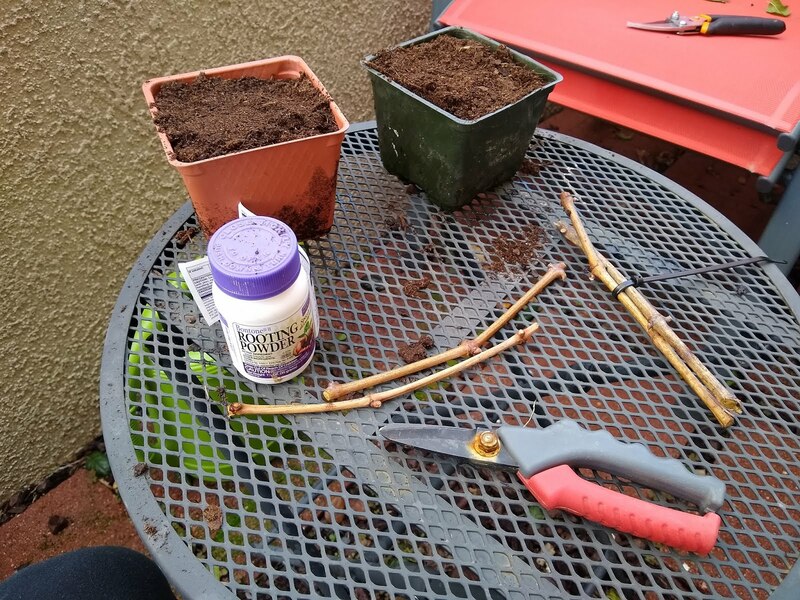 Note that all these cuttings were from the growth made on the plant in the last year (wood less than a year old). I did happen to snag a few cuttings to attempt to propagate some vines back at my house. 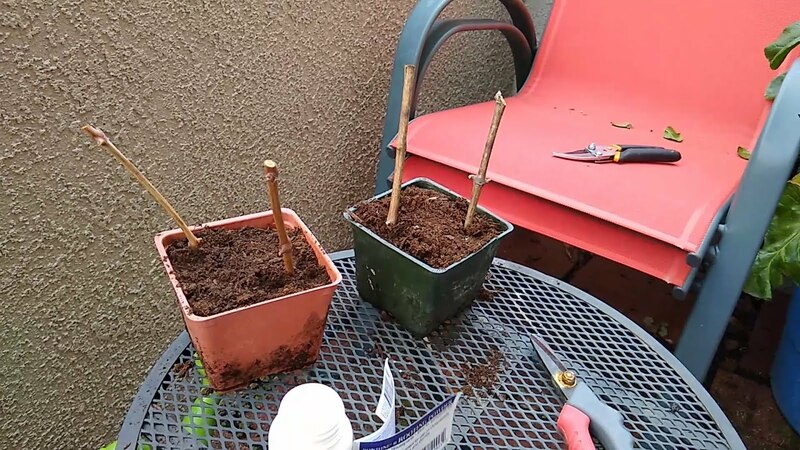 I took two Cabernet Sauvignon and two Chardonnay cuttings to root. Let me walk you through the process. 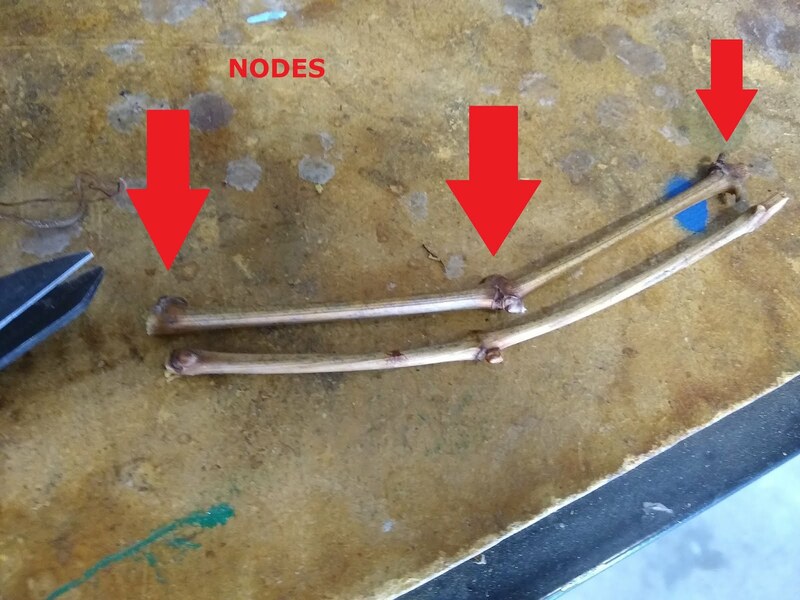 When snipping off the one year growth, cuts were made to form branches about 6 - 8 inches in length which contained about three nodes. 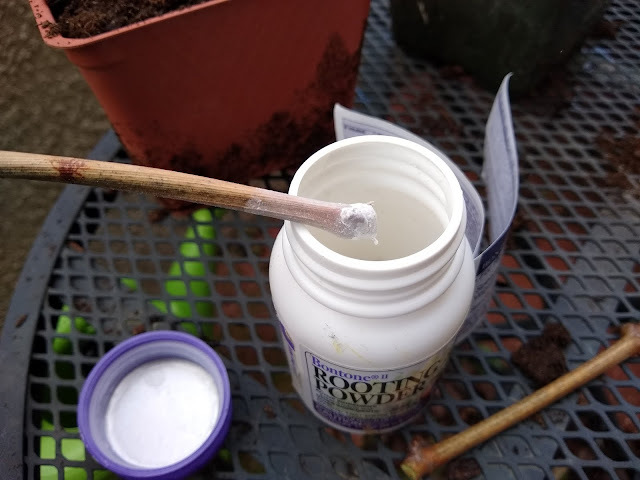 The node of the cutting is dipped into some rooting compound and then stuck into soil and watered. In due time, roots should sprout from the node in the soil and grow a new grapevine. Pretty convenient! 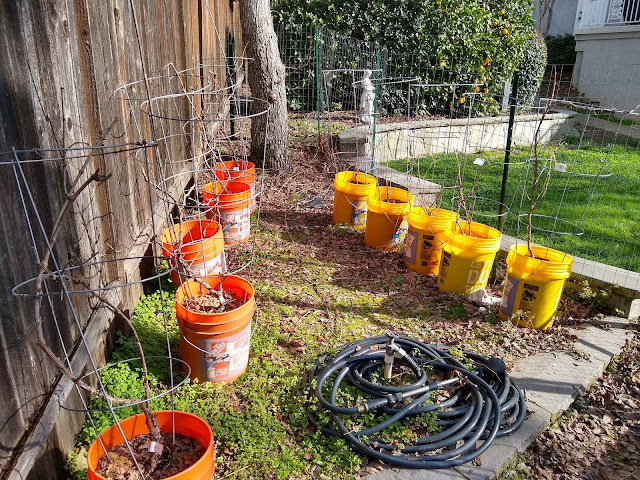 Here are the vines I'm attempting to propagate, I will be working with my buddy to get his vines started pretty soon.